Kuwait, July 3, 2016: London is set to host a number of festivals, cultural events and activities that will bring the English capital alive during July and August. Customers travelling from Kuwait during the summer months can make the most of recent changes to visa rules making visiting the UK simpler and faster. The new procedures allow Kuwaiti passport holders to travel to the UK on business or leisure for a period of up to six months once an online application has been made, removing the previous need to submit documentation to visa application centres. Find out more about visas requirements and about transiting into Europe by clicking here*. Don’t miss the excitement of the Notting Hill Carnival, which takes place over the Bank Holiday weekend on 28 and 29 August 2016. The overwhelming sights, sounds and smells are at the very heart of this colourful celebration - with two days of festivities including live music, traditional cuisine and a flamboyant parade that is not to be missed. 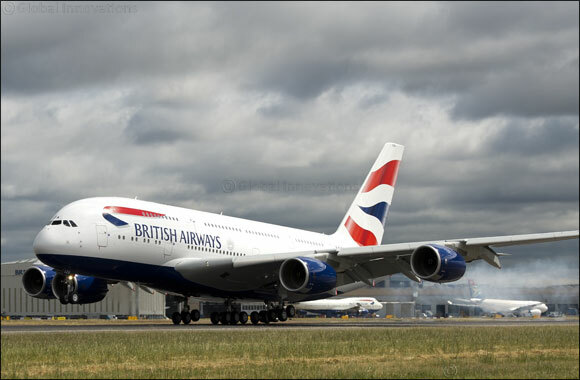 British Airways flies direct to London Heathrow from Kuwait daily and for a limited time until 12 July 2016, return flights are available from KWD 233.10 with travel valid between 8 July and 10 August 2016. ** The airport is just a short train ride from the centre of the city and its world-famous shops and attractions – many of which offer exclusive discounts for British Airways passengers.